Cannabis has been legal in California for more than a year now, and the results have been underwhelming, as legit growers struggle to compete with the entrenched black market. As the state’s legal cannabis market finds its footing, seismic political shifts are happening across the United States when it comes to hemp, a cannabis sativa that is 0.3 percent tetrahydrocannabinol (THC) or less by dry weight. In December, the United States Congress approved the 2018 Farm Bill, which was signed into law by President Trump. The Farm Bill legalizes hemp production and sales, changing the plant’s classification from a controlled substance to an agricultural commodity. Hemp is a mild-mannered member of the cannabis sativa family, but has countless uses from dietary supplements and cosmetics to clothing and construction materials. Hemp can also be used to make cannabidiol (CBD) products, which seem to be everywhere and in everything these days. A growing body of research suggests that CBD is an effective treatment for treating pain, anxiety, depression and movement disorders, among other health issues. The U.S. market for hemp-derived CBD could break $20 billion in 2022, according to industry analysts at the Brightfield Group. California’s cannabis industry is unmatched, but its hemp production is rather modest, trailing states like Kentucky and North Carolina. The Golden State’s industrial hemp cultivation has been limited to approved growers and research institutions. In September 2018, Gov. Jerry Brown signed legislation easing some restrictions on the hemp industry. Coupled with the Farm Bill, this legislation seems designed to make hemp farming more appealing in California. Legit cannabis growers, those with state permits and licenses, have struggled to compete with the entrenched black market. State tax revenue from cannabis was projected to be about 40 percent lower than expected in 2018. Why? Because illicit grow operations can sell cheaper product. As the state’s legal cannabis market finds its footing, seismic political shifts are happening across the United States. Would a bumper crop of hemp hurt the cannabis industry? Probably not. Industry analysts say demand for hemp-derived CBD will soon eclipse the entire cannabis market. But CBD and THC products don’t serve the same needs for consumers. It’s also unclear when hemp growers will be allowed to sell cannabidiol (CBD) products in California. A July memo from the state’s public health market makes it clear that while growing hemp is legal, the sale of hemp-derived CBD is not. Will the state’s position on hemp CBD products change in 2019? Not unless the Food and Drug Administration decides these products can be treated as a food, or California determines they are safe for human and animal consumption. 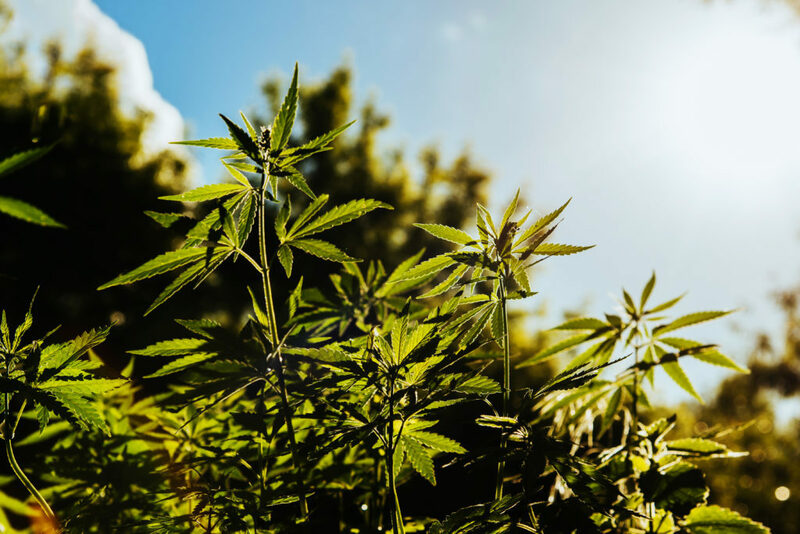 A bill introduced introduced in the California Senate by Cecilia Aguiar-Curry (D-Winters) would open the door for hemp-derived CBD to be added to food, beverages and cosmetics. If the bill were to pass, California’s industrial hemp producers could tap into a major market for consumable CBD products. In the Central Valley, hemp could be grown on a massive scale for domestic use or exports. What may limit the growth of industrial hemp in California are market pressures from the cannabis industry. While the appetite for CBD and other hemp products is rising, the profit margins on hemp are lower. To have a profitable operation, hemp growers need to operate at a much larger scale than cannabis growers. While an acre of hemp might produce $60,000 in product, the same acre of cannabis flower could sell for four or five times more. How the cannabis and hemp markets interact remains to be seen. But the decision to legalize industrial hemp is widely seen as a win for farmers in California and across the U.S.
Danny Mueller is a writer and editor living in west Sonoma County. Say hello: daniel.mueller@pressdemocrat.com.